$97,40 The price in Kiev! 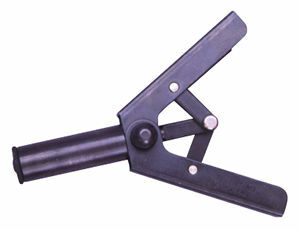 • This lightweight patented tool is designed for one-hand operation and will set most plastic rivets in one stroke. • The PR75 provides access to areas not accessible with lever type tools. • Comes with riveter, carrying case, started pacs of 5mm, 6.3mm, and 6.6mm plastic rivets to cover most Ford, Chrysler and GM applications.